Apple’s WatchOS 3 is good news for wheelchair users who want to track their exercise. Photo by mag3737 on Flickr. A brilliant new blue pigment – discovered serendipitously by Oregon State University chemists in 2009 – is now reaching the marketplace, where it will be used in a wide range of coatings and plastics. The commercial development has solved a quest that began thousands of years ago, and captured the imagination of ancient Egyptians, the Han dynasty in China, Mayan cultures and others – to develop a near-perfect blue pigment. ACCIDENTLY. Someone at Oregon State University’s communications department let the word ACCIDENTLY go through into a document for publication. »The new pigment is formed by a unique crystal structure that allows the manganese ions to absorb red and green wavelengths of light, while only reflecting blue. The vibrant blue is so durable, and its compounds are so stable – even in oil and water – that the color does not fade. »We have some fantastic things in store for our Mac and Windows users (which we’ll start talking about soon), but first up–at long last!–is our iOS version. Yes: it’s nearly here. Next month, we will be submitting Scrivener for iOS to the App Store for release. In the run up, we’re going to post a series of short pieces on the blog telling you all about it, so that by the time it hits the store, you will be able to dive right in. In this first post in the series, before we go into more detail in later posts, I had intended to list some of the features you can expect. But then I thought: nah. Show, don’t tell. So here’s a video we made instead. Scrivener is a terrific tool if you’re doing any sort of long-form writing in which you need to consult multiple documents. I used it to write my book; many others have for their work. It also supports screenplays, radio plays, plays, and lots of other formats. As well as just letters. Watch for this one. »Today HP announced its latest Chromebook model update, this time with a budget focus. The Chromebook 11 G5 will, most notably, run Android apps and will cost just $189. Another headlining feature of the new laptop is its claimed 12.5 hours of battery life, which is top shelf in general and quite good for a laptop that costs considerably less than most of the phones our readers have. An optional touchscreen, which will increase the price by an unspecified amount, will make Android apps even more usable at the cost of just one hour of battery life. For those who are reluctant to make the jump to Chrome OS, both Google and HP hope that Android app compatibility will ease your fears. If you aren’t a huge fan of web apps or there just isn’t a Chrome or browser-based equivalent of the software you need, then the use of Android apps can be a huge value-added feature. To say the least. Cheaper than most phones, and with a battery life to match. Weighs 1.1kg. Anyone who isn’t much invested in Windows could easily switch to this when it goes on sale in October. »”In the very beginning, when we started working on the first version of [Anki] Drive, we realized that characters and personalities are a big deal,” says Hanns Tappeiner, Anki’s co-founder and president. “The problem we had was that cars aren’t the best form factor to bring personalities out.” So Anki kept the idea under wraps and toiled in secret on using AI and robotics to “bring a character to life which you would normally only see in movies,” Tappeiner says. Now, several years after the idea was first conceived, Cozmo is ready for the wider world. The robot is designed for ages eight and up and will sell for $180 in October, with pre-orders starting today. That’s expensive when you consider Anki’s Overdrive racing package is only $150. But the company says Cozmo’s advanced software and high-quality hardware make it worth the money. For comparison, Thinkway’s traditional remote-controlled R2-D2 costs $150, while Sphero’s app-controlled BB-8 replica runs $130. Cozmo will come with a set of sensor-embedded blocks that are used both to play games with the robot and to help it understand its position in the environment. The robot uses facial recognition technology powered by a camera where its mouth would be to remember different people, and its software will learn and adapt to you over time the more you play with it. Much of Cozmo’s heavier processing tasks are handled by a smartphone that’s been paired over Wi-Fi with Anki’s new mobile app, which frees up the robot itself from having to house more complex computer parts. Increasingly smart toys: it’s a thing. SDK in the works, which would expand its market hugely. »An artificial-intelligence lawyer chatbot has successfully contested 160,000 parking tickets across London and New York for free, showing that chatbots can actually be useful. Finally a useful implementation. (It’s essentially an expert system, isn’t it?) Note too: London-born. »this algorithm [for estimating when someone wearing a device has taken a step] breaks down for wheelchair users. Most obviously, those who get around on wheels don’t strike their heels against the ground. Even the way wheelchair users move their arms when pushing themselves is different than the way people swing their arms when they walk. Walking is a regular motion; pushing, comparatively, is irregular. Wheelchair users need to start, stop, and adjust their pushes more than walkers do. To make the Apple Watch’s fitness tracking functionality useful to wheelchair users, then, Apple needed to totally reexamine its algorithms. First, Apple’s software engineers examined the available scientific literature on how wheelchair users burn calories. But this literature was lacking. The existing studies tended to only involve a small number of subjects, and their methodology in translating pushes to calories wasn’t applicable to the real world. For example, the studies might prevent their subjects from using their own wheelchairs, or only track how many calories a wheelchair user was burning on a treadmill, not on their home turf. None of this was useful data for a general-audience device meant to track wheelchair users outside of a lab setting. Apple found the existing studies so lacking that it ended up conducting the most comprehensive survey of wheelchair fitness to date. They teamed up with the Lakeshore Foundation and the Challenged Athletes Foundation, two organizations dedicated to promoting fitness among people with disabilities. Each test subject was allowed to use their own wheelchair, which they fitted with special wheel sensors. In addition, many were outfitted with server-grade geographical information systems, which collected extremely precise data on their movements through the world. The number of calories burned, meanwhile, were determined by fitting test subjects with oxygen masks, and precisely measuring their caloric expenditure as they pushed. In the end, Apple collected more than 3,500 hours of data from more than 700 wheelchair users across all walks of life, from regular athletes to the chronically sedentary, in their natural environments: whether track or trail, carpet or asphalt. 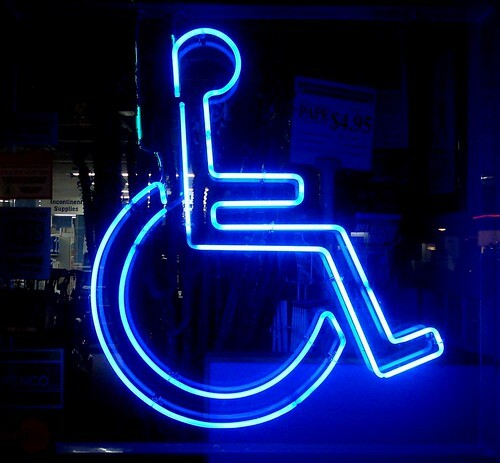 The US alone has more than 2.2 million wheelchair users. Accessibility isn’t just for the hearing- or sight-impaired. The beneficiaries will have to wait for WatchOS 3 in the (northern) autumn, though. Apple Pay has already made good progress in attracting merchants on that front. According to an investor note from Piper Jaffray’s Gene Munster on Monday (June 20), Apple has signed up 21 of the top 100 online retailers, with another 10 “coming soon.” Among those on board are Staples, Target, Kohl’s, Nike, and Under Armour. Munster also noted that, given how easy it is for online retailers to add Apple Pay, more will likely join soon. None of this is good news for PayPal. Munster says the online payments company works with 54 of the 100 top online merchants, but there will be a 43% overlap with Apple Pay merchants. And since Apple Pay is more seamless and faster than using PayPal, Munster said in an earlier research note, Apple’s web payment feature could hurt PayPal’s main business. You’re asking “why not just let Safari fill in your credit card details?” Because Apple Pay generates a one-time payment code which can’t be reused, whereas your credit card details can. »The UK’s nuclear future could be the latest piece of national infrastructure left on the chopping block by the country’s shock referendum vote to quit the EU. According to one government energy adviser, the Hinkley Point C project—which is expected to cost upwards of £20 billion—in Somerset is now “extremely unlikely” to be completed. Hinkley Point C, which would be the UK’s first new nuclear power generation facility since 1988, would consist of two third-generation European pressurised reactors (EPRs) that provide up to seven% of the country’s electricity. EDF says it will go ahead. Well, the pound has dropped in value, so its euros will go further. More uncertainty. »treating the world as a software project gives us a rationale for being selfish. The old adage has it that if you are given ten minutes to cut down a tree, you should spend the first five sharpening your axe. We are used to the idea of bootstrapping ourselves into a position of maximum leverage before tackling a problem. In the real world, this has led to a pathology where the tech sector maximizes its own comfort. You don’t have to go far to see this. Hop on BART after the conference and take a look at Oakland, or take a stroll through downtown San Francisco and try to persuade yourself you’re in the heart of a boom that has lasted for forty years. You’ll see a residential theme park for tech workers, surrounded by areas of poverty and misery that have seen no benefit and ample harm from our presence. We pretend that by maximizing our convenience and productivity, we’re hastening the day when we finally make life better for all those other people. Third, treating the world as software promotes fantasies of control. And the best kind of control is control without responsibility. Our unique position as authors of software used by millions gives us power, but we don’t accept that this should make us accountable. We’re programmers—who else is going to write the software that runs the world? To put it plainly, we are surprised that people seem to get mad at us for trying to help. Fortunately we are smart people and have found a way out of this predicament. Instead of relying on algorithms, which we can be accused of manipulating for our benefit, we have turned to machine learning, an ingenious way of disclaiming responsibility for anything. Machine learning is like money laundering for bias. It’s a clean, mathematical apparatus that gives the status quo the aura of logical inevitability. The numbers don’t lie. He then goes much deeper into the darker potential for “surveillance capitalism” – especially under Trump, or Clinton, or even the Polish government of his homeland. »How will the UK achieve its new status? Will the referendum result lead to real legal independence? Joshua Rozenberg and a panel of guests discuss the legal journey Britain must now take. They examine practical questions like workers’ rights, the free movement of people and goods, as well as the constitution and human rights. It’s a 30-minute BBC radio programme, with three legal professors on EU and constitutional law. Does Parliament invoke Article 50? (No.) What is Article 50? (It’s an article of a treaty.) Does the European Court of Justice really make tons of laws? (The answer to this one is radio gold.) If you want to understand the precise legal issues of Brexit, this is the one to listen to. May also be available as a podcast, somewhere. »Experts say fake online reviews are most prevalent in labour-intensive services that do not require the customer to come into the company’s offices but instead come to the consumer. These services include but are not limited to locksmiths, windshield replacement services, garage door repair and replacement technicians, carpet cleaning and other services that consumers very often call for immediate service. …Seely has been tracking a network of hundreds of phony listings and reviews that lead inquiring customers to fewer than a half dozen drug rehab centers, including Narconon International — an organization that promotes the theories of Scientology founder L. Ron Hubbard regarding substance abuse treatment and addiction. The word “skeevy” seems appropriate for this practice. Errata, corrigenda and ai no corrida: it was wrong to say that malware could grab the PIN from a chip/PIN transaction those are encoded into a one-time encrypted code which can’t be reused. Thanks to those who pointed this out. Guess what the priciest search ad keywords in the UK are associated with. Photo by Javmorcas on Flickr. A selection of 8 links for you. Be ineffable. I’m charlesarthur on Twitter. Observations and links welcome. »The EU has given its strongest signal to date of its intent to crack down hard on Google’s mobile operating system, comparing an imminent antitrust case against Android to Brussels’ epic confrontation with Microsoft a decade ago. People involved in the case said that EU regulators were very close to opening a long-expected new front in their showdown with Google, which has already been hit with charges that it abused its dominance of online searches. A second charge sheet, in relation to Android, is almost finalised. Margrethe Vestager, competition commissioner, would probably be ready to deliver it as early as this week, the people said, although the timing could not be confirmed. Ms Vestager said on Monday that she was concerned that Google could be unfairly taking advantage of consumers’ desire to have pre-installed apps, ready for use as soon as “we take a new smartphone out of its box”. This could stifle innovation by keeping fledgling app makers and service providers out of the market. “Our concern is that, by requiring phonemakers and operators to preload a set of Google apps, rather than letting them decide for themselves which apps to load, Google might have cut off one of the main ways that new apps can reach customers,” she said in a speech in the Netherlands. Explaining her logic, she alluded to the European Commission’s landmark battle with Microsoft, which lasted years and culminated in 2007 with combined fines of more than €2bn. Very like the search charges (which were filed a year ago, and absolutely nothing has happened). Except that 1) Google really did manipulate search results to keep out rivals 2) phonemakers have always been able to use AOSP and then fill it in with apps – as happened with the Nokia X. I don’t think the Android case is as strong as the search case. I made a bunch of guesses, gradually increasing the amount I thought it might be acceptable to pay every time somebody clicks on an ad. £20? No? £30? Surely not! The grand reveal was that I was horribly wrong, and that some advertisers were paying “about £70 a click” for the term ‘mesothelioma’, which is a type of cancer associated with exposure to asbestos. It was immediately apparent that legal firms would spend that kind of money because they were hunting for big ticket compensation lawsuits. Roll forward to the present day and I wondered how things had changed, as Google’s revenues have grown to more than $67bn globally and keyword inflation is a big deal in a lot of sectors. The good folks at SEMrush provided me with a huge list of the most expensive keywords in five countries, and for my first piece of research I’ve focused on the UK. Now it’s gambling which leads the pack; gambling-related keywords make up 67 of the 100 most expensive key word searches. In other words, if you’re using Google services for free in the UK (and who isn’t? ), then gambling helps pay for it through the expensive keyword ads. The next ones? Financial spread betting and day trading; “big data” and cloud services; business-to-business (especially cheap electricity); and legal compensation. 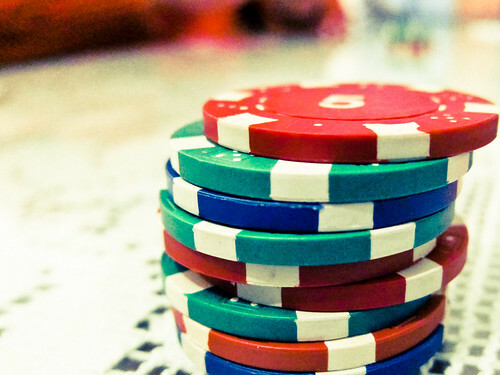 Gambling, finance (or gambling finance), tech, legal and B2B complete the 100. Would love to know what percent of total AdWord revenues come from each category, and what percentage the top 100 represent. »[Willie] Calvin joined X.ai [which offers an email chatbot “Amy” which sets up appointments in response to emails] in December 2014 just a few months after graduating from the University of Chicago with a public policy degree. He was under the impression that his $45,000 annual salary job as an AI trainer would be half product development and half reviewing the algorithm’s accuracy. He said he was asked, as part of the job application, to write a one-page essay on why automation would be good for jobs and workers. X.ai declined to comment on specific hiring practices. 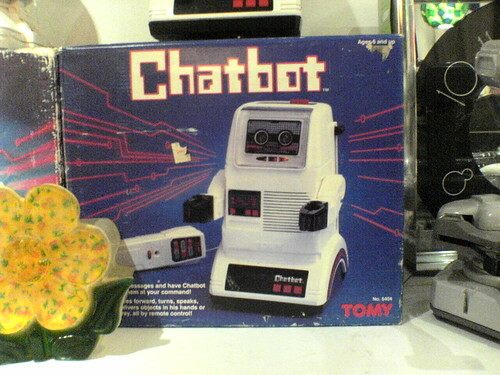 Still, on the plus side, it means that robots aren’t going to take our jobs. Downside: our jobs will become subsidiary to those of robots. »Peter Mensch, the manager of bands including Metallica, Red Hot Chili Peppers and Muse, says YouTube is killing the record industry. He said the site’s business model, in which artists make money by placing ads around their music, was unsustainable. Mensch’s arguments echo concerns raised in the annual report of the International Federation of the Phonographic Industry (IFPI), which was released last week. It said there was widening “value gap” between the volume of music consumed on free, “user-upload” services – including YouTube, Daily Motion and Soundcloud – and the amount of revenue they generate for the industry. An estimated 900 million consumers on these sites resulted in revenue of $634m (£447m) in 2015. By contrast the world’s 68 million paying music subscribers generated about $2bn (£1.4bn). Once again, Metallica is OK (as they were when they were suing Napster in 2000) but it’s the other, mid-tier bands that will be missing out. Streaming is a terrible business model, but YouTube makes it look like a goldrush. »Sony Corp said on Monday that its image sensor plant in Kumamoto, which has been shut since earthquakes hit southern Japan last week, makes components mainly for digital cameras. Sony’s plant in Nagasaki, which resumed full operations on Sunday, is the company’s major production facility for image sensors for smartphones, it said. The company said it had yet to decide when to restart the Kumamoto plant. There had been concerns that plant shut downs because of the earthquakes could affect production of Apple Inc’s iPhones, including the iPhone 7. “The impact of the Kumamoto plant suspension on Apple is expected to be limited,” Hiroyuki Shimizu, principal research analyst at Gartner, said. »As the head of Goldman Sachs’s mortgage department, Daniel Sparks helped make the bank more than a billion dollars betting against the market as housing prices began to crash in 2007. Today, he is betting on home buyers who no longer qualify for mortgages in the fallout of that housing crisis. Shelter Growth Capital Partners, an investment firm Mr. Sparks founded in 2014 with two other former Goldman Sachs executives, has been buying homes that were foreclosed on during the financial crisis and later resold to buyers under long-term installment contracts. The firm has bought just over 200 homes from Harbour Portfolio Advisors, a Dallas investment firm that has specialized in selling homes to lower-income buyers through what is known as a contract for deed. In these deals, a seller provides the buyer with a long-term, high-interest loan, with the promise of actually owning the home at the end of it. These contracts, a form of seller financing, have ballooned in recent years as low-income families unable to get traditional mortgages have turned to alternate ways to buy homes. The homes are often sold “as is,” in need of costly repairs and renovations, and many of the transactions end in eviction when buyers fall behind on payments. So poorer would-be buyers are screwed once again because although money is cheaper than it has ever been (and so the loans don’t have to be high-interest; the houses aren’t going to run away), they are – yet again – the marks in the new shell game being played by Wall Street. »[Karsten] Nohl told us the SS7 flaw is a significant risk mostly to political leaders and business executives whose private communications could be of high value to hackers. The ability to intercept cellphone calls through the SS7 network is an open secret among the world’s intelligence agencies — -including ours — and they don’t necessarily want that hole plugged. Sharyn Alfonsi: If you end up hearing from the intelligence agencies that this flaw is extremely valuable to them and to the information that they’re able to get from it, what would you say to that? Rep. Ted Lieu: That the people who knew about this flaw and saying that should be fired. Sharyn Alfonsi: Should be fired? Rep. Ted Lieu: You cannot have 300-some million Americans– and really, right, the global citizenry be at risk of having their phone conversations intercepted with a known flaw, simply because some intelligence agencies might get some data. That is not acceptable. Algorithms are built to approximate the world in a way that accommodates the purposes of their architect, and “embed a series of assumptions about how the world works and how the world should work,” says Hansen. It’s up to journalists to investigate those assumptions, and their consequences, especially where they intersect with policy. The first step is extending classic journalism skills into a nascent domain: questioning systems of power, and employing experts to unpack what we don’t know. But when it comes to algorithms that can compute what the human mind can’t, that won’t be enough. Journalists who want to report on algorithms must expand their literacy into the areas of computing and data, in order to be equipped to deal with the ever-more-complex algorithms governing our lives. As Gourarie points out, there aren’t yet any journalists with the title of “Algorithm correspondent”, but maybe there should be; algorithms are (going to be? already?) as powerful as politicians, but less easy to interview. Though in the case of Google search and Facebook’s News feed, no single person, nor even group of people, quite knows for certain why they do what they do. What does that mean? 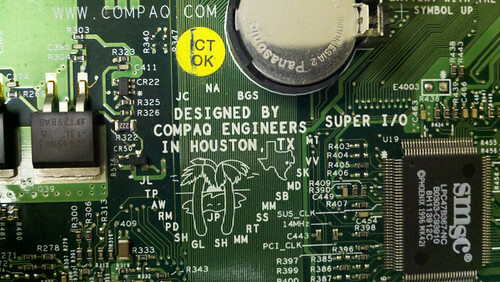 Compaq’s engineers (in Houston, Texas) discovered they needed a new strategy when low-cost rivals arrived in force. Photo by lungstruck on Flickr. A selection of 13 links for you. Use them wisely. I’m charlesarthur on Twitter. Observations and links welcome. »At Shared Assets we believe that privatisation is the wrong approach and is inconsistent with the Government’s stated commitment to ‘open data’. The Land Registry is currently fit for purpose, generates a surplus, and is trusted to fulfil its role underpinning over £4tn worth of property ownership across England and Wales. The Government is selling off a critical, well functioning, national statutory service that we are all obliged to use, primarily to raise funds. We believe the potential impacts of creating a private sector monopoly on transparency and access to this critical data set are unacceptable, and that a more imaginative, and beneficial, approach would be to open up public land registry data for the common good. I wrote on this topic too. »A single demo of Skype running on a Windows Phone was the only time a phone running Windows 10 Mobile appeared for longer than a few seconds, and it felt like Microsoft was more focused on Windows 10 for Xbox and HoloLens. I got the chance to speak to Windows chief Terry Myerson briefly after today’s keynote, and it’s clear Microsoft focus isn’t on phones this year. »I told Ben that it was absolutely possible for Compaq to create products that were low cost. I mentioned that I already started working on a next generation low cost product concept, but it was not yet approved – either as an actual project or as a project that I would be assigned to. He was interested and asked me to confidentially work on it and update him on the status. He also told me, surprisingly, not to tell anyone about the project, including my management, but to just report back to him. Obviously, a Product Marketing person can’t develop a product alone so I did what came natural and got the best engineering manager I could trust and rely on technically. I had been working for the last year and a half with Jon Thompson, the Engineering Program Manager for the DESKPRO/M, and in the process we became good friends. We began to work on this new project after normal business hours and weekends by contacting suppliers and other technology companies. We created a story to tell these suppliers that we were going to leave Compaq and start our own PC Company. It was amazing how many suppliers approached us and offered help. The extent of the ideas and the pricing they offered us was even more amazing. The internal politics turns out to be even more amazing, and Burke the naif used as a pawn. Recommended. »By raising debt instead of equity, Spotify adds to its war chest without the possibility of setting a lower price for its stock, which can sap momentum and hamper recruiting. In June 2015, Spotify was valued at $8.5bn. In return for the financing, Spotify promised its new investors strict guarantees tied to an IPO. If Spotify holds a public offering in the next year, TPG and Dragoneer will be able to convert the debt into equity at a 20% discount to the share price of the public offering, according to two people briefed on the deal. After a year, that discount increases by 2.5 percentage points every six months, the people said. Spotify also agreed to pay annual interest on the debt that starts at 5% and increases by 1 percentage point every six months until the company goes public, or until it hits 10%, the people said. This interest—also called a “coupon” and in this case paid in the form of additional debt, rather than cash—is commonly used in private-equity deals but rarely seen in venture funding. In addition, TPG and Dragoneer are permitted to cash out their shares as soon as 90 days after an IPO, instead of the 180-day period “lockup” employees and other shareholders are forced to wait before selling shares, the people said. Debt like this is dangerous. First, it can be recalled – which kills a company. Second, as here, it comes with many strings, principally financial. In the first year, Spotify will have to pay out $25m (first six months, 5% of $1bn) + $30m (6%) = $55m. In the second year, $35m (7%) + $40m (8%) = $75m. In the third year, $95m, and after that, $100m per year. It had $600m cash before this debt, so that’s $1.6bn in cash reserves; it can pay out for a while, but the real damage is to its profitability. It isn’t making money now (as far as anyone knows) and this will put that further out of reach. I think it’s safe to say that with this debt deal, Spotify can never make an operating profit if the debt payment is included. This therefore is a financing deal aimed at getting Spotify over the IPO finish line as soon as possible so it can get a giant cash injection. Then its future losses become the public shareholders’ problem, rather than those of the venture capitalists or music labels that have funded it so far. »How can opening the door mean the exact opposite? The devil is in details of the policy, which says e-commerce platforms will only provide a marketplace and not influence the sale price of merchandise. In other words, while foreigners can facilitate retail, they will not really be retailers, burning their deep-pocketed investors’ money to drive myriad mom-and-pop stores out of business.Goldman Sachs believes the rules “could spell an end” to discount-led competition among e-tailers. While that might be a welcome path to eventual profitability for an industry surviving on bragging rights about how much merchandise it handles, what’s good for the collective may be bad news for individual companies. Late last year, the lobby group of traditional Indian retailers kicked up a fuss when Amazon gave out measly 200 rupee ($3) gift cards to consumers, because this purportedly showed Amazon acting as a retailer when it was only allowed to be a technology platform.If the new rules do nothing but extend the “essential continuity” of the old rules, that might please Sir Humphrey — but Jeff Bezos is certainly going to mind. Seems that the new regulations will bring online retailing to heel in India. Not good – but smartphones will probably provide a way around it. »Whether you think bots are exciting or alarming, a lot of people are already using them. Microsoft’s Chinese version of Tay, called Xiaoice, has been available for 18 months and has 40 million users. Conversations with Xiaoice (pronounced shao-ice) average about 23 exchanges per session. Few users chat that long with Siri. Facebook is working on an assistant named M and already has bots operating on its Messenger app that let users book a haircut or send flowers. The Wall Street Journal reported in December that Google is working on a bot-based app that will answer users’ questions. Amazon has its best-reviewed product in years in the Echo, a voice-controlled black cylinder that sits in customers’ kitchens and performs a fast-growing list of tasks—it can look up recipes, order groceries, turn on the news, play songs, and read e-books aloud. Slack, the corporate messaging service, has bots that can manage your expenses and order the office beer. On March 30, at Microsoft’s annual Build conference for software developers in San Francisco, Nadella will try to undo the damage from Tay and unveil his vision, which he calls “conversation as a platform.” Microsoft will show off several different bots and programs that manage tasks via discussion. Some you’ll be able to text with, like Tay; others are just concepts cooked up for the show to spark developers’ imaginations. The question is whether, as with Tay, the corpus (that it learns from) is already poisoned. Humans learn not to do certain things in social situations; Tay and its brethren are being thrown into situations where learning is almost impossible because the barriers between good and bad behaviour are surprisingly narrow. “Hitler could have done a better job” can be said ironically, or flatly; its meaning to the listener depends on a lot of pre-knowledge. MOTOBOT ver.1｜Tokyo Motor Show 2015 – Event YAMAHA MOTOR CO., LTD.
»What makes the MOTOBOT project unique is its approach to completely automated operation. Unlike the current methods used for automobile self-driving systems, which have progressed in recent years, the aim is for a humanoid robot to operate a vehicle unmodified for autonomous use. Based on data for vehicle speed, engine rpm, machine attitude, etc., MOTOBOT will control its six actuators* to autonomously operate the vehicle. Going forward, technology for machine position recognition (high-precision GPS, various sensors, etc.) and machine learning will be utilized to enable MOTOBOT to make its own decisions regarding the best lines to take around a racetrack and the limits of the motorcycle’s performance, so that it can improve its lap times with successive laps of the track. First they came to conquer the chess players, but I didn’t play chess. Then they came to conquer the Go players, but I’d never heard of Go. Then they said they were going to beat the motorbike riders… by 2020.. which is only four years away. »Google has been repeatedly ordered to help federal agents open cellphones, according to court records in seven states that show Apple Inc. isn’t the only company facing government demands at the center of a fierce debate over privacy and security. The American Civil Liberties Union found 63 instances where the government sought a court order under a 1789 law called the All Writs Act to compel Apple and Google to help them access data on locked phones. The outcome of those cases aren’t clear. However, federal prosecutors have said until late last year, when Apple began resisting such efforts, it was routine for judges to approve such requests from federal prosecutors. And those requests aren’t a new phenomenon—the cases stretch back to 2008. This isn’t surprising – neither Google’s cooperation (Apple cooperated too where it could) nor the fact that the AWA hasn’t been needed; the number of Android phones out there with full disk encryption enabled must be tiny compared to the number of iPhones. »If you’ve been hit by the iOS 9.3 broken links you can follow these steps to fix the issue whilst we wait for a full update from Apple. Unfortunately you’ll need to hook your iPhone or iPad up to your computer and sync with iTunes. It’s a 13-step process, which is only one more than you need to make your way back from alcoholism. So far it’s only Booking.com, but I feel sure that malware will try to exploit this in future. »Cyanogen wants to let any phone maker, wireless carrier or app developer integrate their services more deeply with its alternative form of Android, in ways that they can’t do with the official Google version. Microsoft, for instance, is integrating Skype, its Internet calling service, and Cortana, its virtual assistant, into Cyanogen. The end result is that people will be able access and interact with their Skype contacts directly from the phone’s built-in dialer app, and they will be able to summon apps like Spotify by speaking to Cortana. Such scenarios are not available on Google’s version of Android. While Cyanogen can control many aspects of devices it powers, they all come preloaded with Google services like search, the Google Play app store and Google Maps (because Cyanogen knows that consumers need them). In exchange for having those Google services, the devices must comport with certain Google rules, such as displaying those apps prominently on the home screen. For its part, Cyanogen is able send messages to phone users to help them customize the devices so that integrations with non-Google apps will be more prominently displayed on, say, the home screen, instead of Google’s apps. So, basically, it’s Just Another Skinned Google Android Phone. Ron Amadeo has a succinct two-paragraph rant on the oversell of Cyanogen. » KLM Royal Dutch Airlines passengers will soon be able to check in, get flight updates, make travel changes and talk to customer service reps straight from Facebook’s Messenger chat app. KLM is the first airline and the first major European partner for Messenger, which is used by 800 million people around the globe. Facebook sees customer service as a natural extension of chat apps which were built for, well, chatting. The giant social network launched Messenger for Business one year ago to pursue “conversational commerce,” the notion that we will all soon be talking to — and eventually transacting with — businesses over messaging apps. Since then, businesses in a growing number of industries have tried out the service to chat with customers, among them hotel chain Hyatt and retailers Walmart and Everlane. In a hint of the kind of commercial transactions to come, users of Uber and Lyft can hail a ride by tapping a new transportation option inside Messenger and share the details with friends. The app becomes the platform..
»several brokerages on Wednesday upgraded first-quarter forecasts for what is still the world’s top smartphone maker, citing a strong start for the Galaxy S7 and S7 edge premium phones that were launched earlier this month. Samsung likely shipped 9.5m S7 phones in the first quarter, significantly more than the initial estimate for 7m, Jay Yoo, industry analyst at Korea Investment & Securities, wrote in a report. “It looks like the sell-in numbers have been pretty good and analysts are raising their sales forecasts for the S7 this year,” noted HDC Asset Management fund manager Park Jung-hoon. »Early data from Slice Intelligence indicates that the SE may help Apple grow its maturing iPhone consumer base. Only 35% of iPhone SE buyers purchased an iPhone online in the past two years, and 16% of them were previously Android users. By comparison, 49% of iPhone 6S buyers upgraded from a previous iPhone, and 10% replaced an Android device they bought online within the past two years. Buyers of the SE look much different than the Apple fanboy audience typically queuing up to buy the latest from Cupertino. They’re older, less educated, and surprisingly, more male. More than one fifth of SE buyers are in the 45-54 age demographic, versus 18% for all iPhone buyers; and 77% of SE buyers are men, versus 69%. Life was simpler in some ways when you could just feed these to get your parking time. Photo by PeterJBellis on Flickr. »On Sunday [as it also withdrew its court request against Apple], according to public records, the FBI committed to a $15,278 “action obligation” with Cellebrite. An “action obligation” is the lowest amount the government has agreed to pay. No other details of the contract were available, and the Justice Department declined comment. Cellebrite, however, has reportedly assisted US authorities in accessing an iPhone. For now, US-based security experts believe that Cellebrite does have the wherewithal to perform the task. »Out of courtesy, I did share some thoughts with Ross, but it wasn’t long before our paths diverged. [*] I soon became a critic of the U.S. government’s “Internet freedom agenda,” while Ross and his colleague and friend Jared Cohen (then on the policy planning staff of the State Department and now the head of Google Ideas) embarked on adventures so reckless and ridiculous, so obsequious to the interests of Silicon Valley and offensive to anyone well-versed in the diplomatic trade, that some career staffers at the State Department began to ridicule, anonymously, of course, their cluelessness on social media. Ross’s tenure at the State Department was, by and large, a failure. His efforts to promote “twenty-first-century statecraft”—Clinton’s lofty vision for American power that would put “Internet freedom” and digital technologies at its core—floundered after the State Department was confronted by Cablegate, the release of a massive library of leaked diplomatic cables that began in late 2010 and was coordinated by WikiLeaks. Ross, who claimed the twenty-first-century-statecraft concept as his own and hoped that it would become “a major part of [Clinton’s] legacy,” was suddenly forced into damage control. Few would find his pronouncements on “Internet freedom” credible after the State Department’s reaction to WikiLeaks. Morozov reviews Ross’s book “The Industries of the Future”: it’s like watching a master sushi chef at work. And the footnote attached to that [*] above is worth the clickthrough on its own. »what Apple has really done is moved from selling older models at discounts with the ‘proper’ iPhone starting at $600, to starting the iPhone range at $400 and scaling up on screen size and price. There are a bunch of interesting second-order implications for this. By launching six months after the actual iPhone 6S Apple smooths out the supply chain and reduces cannibalization from people who really want the ‘newest one’, and probably gets better component prices. But it’s still selling premium components instead of 2-year-old components at $400 instead of $600, so I’d expect a long discussion of margin implications at the next quarterly call. And this also points to how misguided it is to poke around in earnings releases from Apple’s supply chain to work out iPhone sales. One can also wonder what happens in the next product cycle – presumably the iPhone 6 disappears, the 6S goes to $500 and the SE is refreshed, perhaps without a new name. Or does it go to $300? Certainly it’ll be on the second-hand market at $200. But the key thing is that after 8 years, the iPhone range really now starts at $400, not $600 or more. »When I was prompted by a roadside sign to download yet another cashless parking app, my patience finally snapped. I now had four of them on my phone – PayByPhone, RingGo, Parkmobile and ParkRight, all of which required me to undergo a laborious sign-up procedure, keying credit-card details and registration numbers into my phone while I sat on the bonnet, accruing parking charges. The competitive marketplace for cashless parking has resulted in a fragmented and rather irritating experience for motorists who don’t have a handy stash of pound coins; as well as the aforementioned apps, there are others such as Phoneandpay, MiPermit and Whoosh, all promising to liberate us from the tyranny of the parking meter but ignoring the fact that we don’t care who we pay: we just want to park. 85% of cashless parking controlled by two apps, the other 15% by a sprawl of others. Really good research by Marsden, but there’s no solution in sight. One point he didn’t make, but which I notice: paying by app is often more expensive than paying for a physical ticket. »back in mid-2015, Intel admitted that its 10-nanometer technology was in rough shape and wouldn’t go into production at the end of the year as expected. In the company’s most recent form 10-K filing, it went ahead and officially declared “Tick-Tock” [by which it reduces the die size in one year, and in the next year improves the microarchitecture] dead. Intel says that its third 14-nanometer product, known as Kaby Lake, will have “key performance advancements as compared to [its] 6th generation Core processor family.” The extent of these enhancements is clear, but leaks to the Web suggest enhancements to graphics and media. »Beyond Grove’s personal background, the importance of Intel to the technology industry — and, by extension, to the world — cannot be overstated. While Moore is immortalized for having created “Moore’s Law”, the truth is that the word “Law” is a misnomer: the fact that the number of transistors in an integrated circuit doubles approximately every two years is the result of a choice made first and foremost by Intel to spend the amount of time and money necessary to make Moore’s Law a reality. This choice, by extension, made everything else in technology possible: the PC, the Internet, the mobile phone. And, the person most responsible for making this choice was Grove (and, I’d add, his presence in management was the biggest differentiator between Intel and its predecessors, both of which included Noyce and Moore). That wasn’t Intel and Grove’s only contribution to Silicon Valley, either: Grove created a culture predicated on a lack of hierarchy, vigorous debate, and buy-in to the cause (compensated with stock). In other words, Intel not only made future tech companies possible, it also provided the template for how they should be run, and how knowledge workers broadly should be managed. Thompson’s daily Stratechery newsletter is well worth the (inexpensive) subscription. Talking of which..
»Q: Why would someone sign up for Blendle? Klopping: Whenever you ask people “would you like to pay for journalism?” most people shrug. Why would they? But then most people responded the same way 10 years ago when asked about paying for music. I never thought I would pay $10 a month for Spotify, but I do. It’s not just about access to music, but also the app is really nice, my friends are on it, it helps me find music with Discover. When you think about journalism, having one account for everything, a service that helps you find and pay for the best stuff—that doesn’t exist. And it didn’t exist for music, but then it happened. Fortune: So it’s not just about payment, but also curation? Klopping: Yes. We hire editors, and those editors read everything on the platform, and they figure out staff picks. They choose the most interesting stories and they also choose stories that fit into categories or sections, and when a user shows interest in articles from a section we show them more. So there’s human curation plus a layer on top that is algorithmic. And on top of that there’s a social graph, so when your Twitter friends have shared an article that’s a good indication you might like it. The point about whether hard news monetises well (it doesn’t) is notable. My question is, does paying free you from seeing ads? »Last November, a malicious app called InstaAgent was caught storing the usernames and passwords of Instagram users, sending them to a suspicious remote server. After the app’s activities came to light, Apple removed it from the App Store, but it now appears Turker Bayram, the developer behind the app has managed to get two new apps approved by Apple, (and Google) both of which are stealing Instagram account info. Peppersoft developer David L-R, who discovered the insidious password-sniffing feature in the first InstaAgent app, last week wrote a post outlining new password stealing apps created by Bayram. Called “Who Cares With Me – InstaDetector” and “InstaCare – Who Cares With Me,” the apps are available on Android and iOS devices. The original InstaAgent app attracted Instagram users by promising to track the people who visited their Instagram account, and the two new apps make similar promises. Both apps say they display a list of users who interact most often with an Instagram account, asking users to log in with an Instagram username and password. David L-R investigated Bayram’s new apps and discovered a suspicious HTTPS packet, leading him to uncover a complex encryption process used to covertly send usernames and passwords to a third-party server and hide the evidence. OK, this is bad; but as a user, why would you trust a third-party app from a no-name developer with your login details? Or is that too obvious a question? »Tay is an artificial intelligent chat bot developed by Microsoft’s Technology and Research and Bing teams to experiment with and conduct research on conversational understanding. Tay is designed to engage and entertain people where they connect with each other online through casual and playful conversation. The more you chat with Tay the smarter she gets, so the experience can be more personalized for you. Tay is targeted at 18 to 24 year old in the US. Tay may use the data that you provide to search on your behalf. Tay may also use information you share with her to create a simple profile to personalize your experience. Data and conversations you provide to Tay are anonymized and may be retained for up to one year to help improve the service. The bath continues to warm. »The Google keyboard incorporates a number of features meant to distinguish it from the stock iOS keyboard. Like its Android counterpart, the Google keyboard for iOS employs gesture-based typing, so you can slide your finger from one letter to the next and let Google guess your intended word. Tap the Google logo and you can access traditional web search. It also appears to have distinct buttons for pictures and GIF searches, both presumably powered by Google image search. The keyboard is visually distinct from the standard Android keyboard, which incorporates voice search but no text or image-based searching. The keyboard, which has been in circulation among employees for months, is designed to boost the number of Google searches on iOS. While the company all but holds a monopoly on the global search market, there’s evidence that mobile search is proving much less lucrative for Google than the desktop. Using publicly available numbers, journalist Charles Arthur argued in October that half of smartphone users perform zero searches per day. (Using the same math, Arthur said desktop users perform an average of 1.23 searches per day. )… The problem for Google — and for Alphabet, its parent company — is that search is where Google shows users its most expensive ads. Any sign of decline in search would be an existential threat to the company. Logically, I’d expect that searches begun from this keyboard don’t count as part of the Google-Apple Safari search deal (reckoned to be very lucrative for Apple). Apple pares away at Google’s income in one place, Google drags it back in another. However, I’d expect this to be a comparatively small number, though. It’s not as if this is Maps, after all. Think you could pretend to be one of these? Photo by anotherjesse on Flickr. A selection of 8 links for you. Use them wisely. I’m charlesarthur on Twitter. Observations and links welcome. You don’t fully realize how complicated human conversation is until you try to look at it through the eyes of a bot. Alison’s “How about you?” is an example of what the professionals call a tag question. “How about you?” on its own is meaningless; it’s implicitly referring back to my own previous question of “How are you doing today?” Within a few short words you already have a complex system of meaning the bot needs to understand. Soon Alison was bombarding me with dialogue. While this isn’t exactly a normal human conversation, a human can easily deal with it. Think about all the things your brain does to process those sentences. It knows that “I’m going [swimming]” and “I’m going [to be an astronaut]” encode completely different meanings, even though they have superficially similar structures. A division of the shipments shows Microsoft grabbed 7.6% of sales [0.57m handsets] during the quarter, up from 5.8% in the prior year quarter. The total market [for UK smartphone sales] declined 1.5% to 7.6m. “Microsoft is slowly building share without a flagship or high-spec handset – they are after the volume end of the [professional] market. This strategy will probably change when Windows 10 comes out,” Coulling said. Despite this, Windows barely touches the sides of the sprawling UK shipments achieved by phone royalty Samsung and Apple, the combined sales of which came to 4.93m units. Sammy declined 8.5% in Q1 to 2.54m devices, giving it a 33.6% share of spoils, as it continued to work through the inventory bottleneck that ruined profits in 2014. …Apple sales recovered on the back of the iPhone 6’s release, growing 7.8% to 2.43m units, narrowing the gap that Samsung opened up a year ago. Windows Phone still not really doing anything. Maybe those are being bought by businesses? Donald McGurk, chief executive of Australian communications, metal detection and mining technology firm Codan, has watched sales and prices of his firm’s metal detectors collapse since Chinese hackers stole its designs three years ago to sell cheap imitations into Africa. With the Australian government wary of rocking the boat ahead of this month’s historic signing of a free trade deal, McGurk says he was forced to hire a private investigative firm in China to stage a series of raids on counterfeit factories. “They said you’re on your own,” McGurk told Reuters, referring to the Australian government officials he lobbied to help with his problem. The Australian government did not immediately respond to queries about Codan. Codan’s experience provides a rare look at the longer-term impacts of hacking on companies, as most keep the extent of an incident under wraps. In fact, experts say many firms continue to turn a blind eye to cybersecurity even as hackers become increasingly sophisticated. Europe’s antitrust regulator has asked a broad swath of Internet commerce firms to hand over sensitive business information and copies of contracts as part of a sweeping investigation into possible abuses in the sector. The investigation, announced in March, aims to establish whether some firms are raising contractual or other barriers to limit how consumers can shop online across national borders inside the European Union. The probe could lead to formal antitrust cases against individual companies that are suspected of abusing their dominant market position to restrict trade, in violation of EU law. Margrethe Vestager really is getting serious. Samsung calls this the “Ultimate Upgrade.” You have until the end of the day on July 5th to make your purchase. As with most deals of this sort, you’ll need to submit a copy of your receipt, the device’s MAC address, and the IMEI. It needs to be purchased in the US (sorry, guys) from a carrier or national retailer (i.e. not on eBay or Craigslist). Samsung says it also needs to be purchased at “full price,” which I assume means no additional discounts. Presumably you can still do a contract or payment plan with your carrier. We’re coming to the end of the Galaxy S6’s first full quarter on sale, and Samsung is offering discounts to encourage sell-through of higher-priced models. This doesn’t seem like a resounding vote of confidence in its sales. It’s also pricey, in marketing terms (though people are pretty rubbish at taking advantage of rebates). The company announced in the middle of May that the cars had gotten the green light to be put on the road “this summer,” and it looks like “this summer” means right now. Assuming this round of tests go well, we’ll surely be seeing more cars hit the roads over the next few months. We were pretty excited to get the Xperia Z3+ in for review. That is until we found one of the worst launch bugs we’ve ever seen. The problem is that the Xperia Z3+ camera crashes almost instantaneously when you throw anything even vaguely heavy at it. By ”heavy” I simply mean using augmented reality mode or shooting 4K video for a few seconds. These are standard camera modes on the Z3+ so there really shouldn’t be any problems, especially in a phone that’s less than a week old. But we’ve been seeing the camera crash in 4K ever since the Z2. How Sony has failed to correct the issue two generations later is beyond me. Commenters concur. The Snapdragon 810 chipset seems to be at the core (sorry) of the problem. And this does look like a problem. Eternify leverages music from Spotify’s catalog in increments of 30 seconds, the minimum length that counts as a play—and as a royalty payment. Pick your favorite artist, then watch in real time as you generate an average of $.005 for your artist with each play. Appears to be registered in Germany. Can’t see Spotify allowing this to continue for long.